Crude oil is a highly valuable resource that is obtained from deep within the earth during specialized drilling operations. 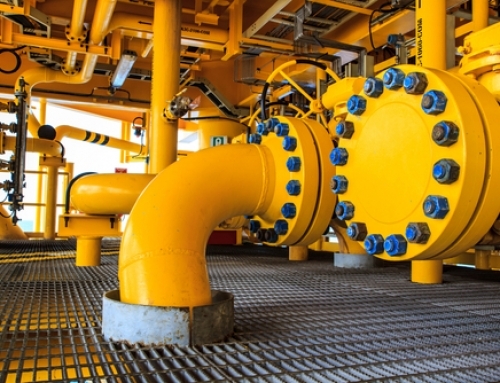 Once the location of a potential producing oil reservoir is discovered by a company such as Western Pipeline Corporation, the oil can be extracted, refined into different forms and used for a wide variety of applications. Crude oil does not emerge from within the earth in its final, useable form. Rather, it must be transported to a refinery, processed and treated so that its components can be sold as gasoline, kerosene, and other resources. Petroleum undergoes several processes at oil refineries, usually including the processes of separation (or distillation), conversion, and treatment. Crude oil contains a mixture of hydrocarbon chains of different lengths when it is extracted from the earth. Initially, crude oil is separated into its various components through the process of fractional distillation, in which the oil is introduced into a specialized tower and heated under controlled pressure. These distillation towers allow components of the oil to be separated according to their unique boiling points, with lighter substances such as gasoline collecting at the cooler top of the tower and the heaviest components collecting at the bottom. However, demand for lighter petroleum products such as gasoline is much greater than that of heavier products, making the next phase, conversion, an especially important part of the refining process. -Catalytic Cracking: The most widely used method of conversion, catalytic cracking is the process of breaking heavy fractions down into lighter ones using a combination of pressure, high heat and a catalyst to quicken the process. Catalytic cracking takes place in a reactor and can convert a majority of heavy hydrocarbons to useful lighter ones. Fluid catalytic cracking and hydrocracking are two types of catalytic cracking that yield gasoline. -Thermal Cracking: Thermal cracking also uses heat to break down larger hydrocarbons, but does not use a catalyst as in catalytic cracking. Visbreaking, steam and coking are three types of thermal cracking. The conversion of petroleum is very important to the profitability of refineries due to the added value and increased quantity of useable petroleum that can be produced. Even after the complex process of conversion, fractions of crude oil must be treated before they are distributed to end users.